The United Nations 2030 Agenda for Sustainable Development is a framework of 17 Sustainable Development Goals (SDGs) with a total of 169 Targets spanning economic, environmental and social development. They lay out a plan for all countries to engage actively in making our world better for its people, with no-one left behind. Libraries are key institutions for achieving the Goals. Over the last few years, IFLA has been actively involved with the creation of the UN 2030 Agenda, advocating for the inclusion of access to information, safeguarding of cultural heritage, universal literacy, and access to information and communication technologies (ICT) in the framework. In August 2015, after more than three years of negotiations and intense involvement from many stakeholders, including IFLA, the Member States of the United Nations agreed to a final version of the post-2015 Development Agenda – now known as the 2030 Agenda. This Agenda was adopted by world leaders in September 2015 at a historic UN Summit. Culture (target 11.4) and ICT (targets 5b, 9c, 17.8) have also been included in the SDGs. And, universal literacy is recognised in the vision for the UN 2030 Agenda. IFLA’s consistent position is that access to information is essential in achieving the SDGs, and that libraries are not only key partners for governments but are already contributing to progress towards the achievement of the 17 Goals. 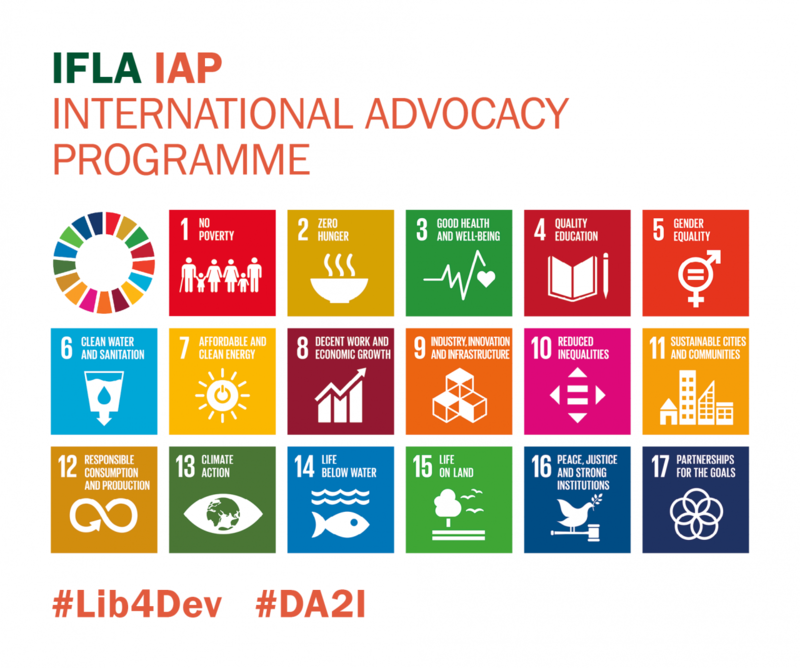 For this reason, IFLA launched the International Advocacy Programme (IAP) in 2016, a new capacity-building programme designed to promote and support the role libraries can play in the planning and implementation of the UN 2030 Agenda and the SDGs.